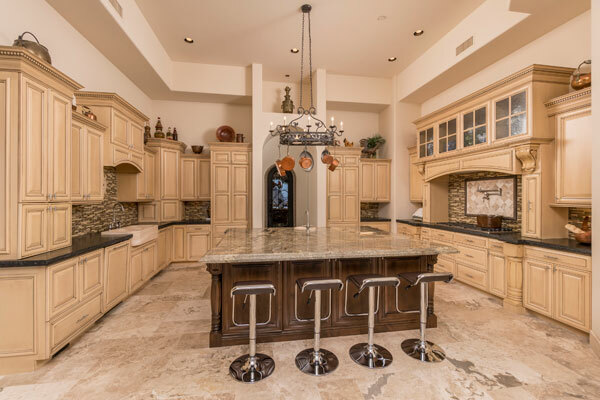 INTRODUCING: 11132 N Viento CT Fountain Hills AZ 85268. Offered at: $3,499,000. WOW. 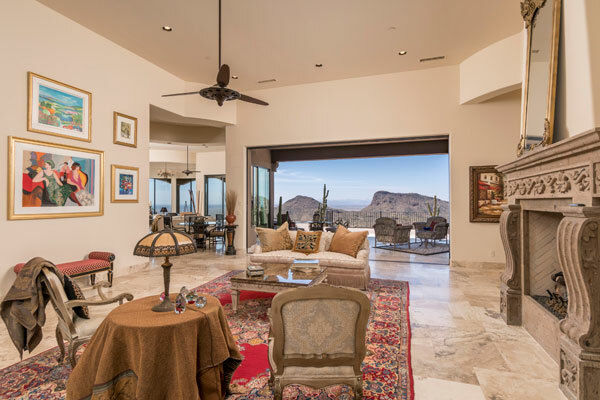 As soon as you step into this stunning custom estate you will be swept sway with some of the best mountain and city lights views in the valley, from every room. The infinity doors can be opened all the way to bring in all the stunning views for the ultimate AZ outdoor/indoor lifestyle. Completed end of 2010 with the most luxurious and timeless finishes. Home is designed with a transitional color palette, such as: white kitchen and light cabinetry and floors. There are NO STEPS anywhere from the moment you enter the courtyard to the main living floor which includes: master bedroom with luxurious bathroom and his and hers walk-in closets, 2 guest bedrooms with ensuite, office, theatre room, wine cellar, wet bar, formal dining and living room, kitchen, family room and breakfast nook overlooking the stunning views. Also on main level is a guest casita which you enter from the beautifully paved courtyard. Several fireplaces throughout the house including master bedroom. Lower level of the house has 2nd master, game room, spa & exercise room with sauna. 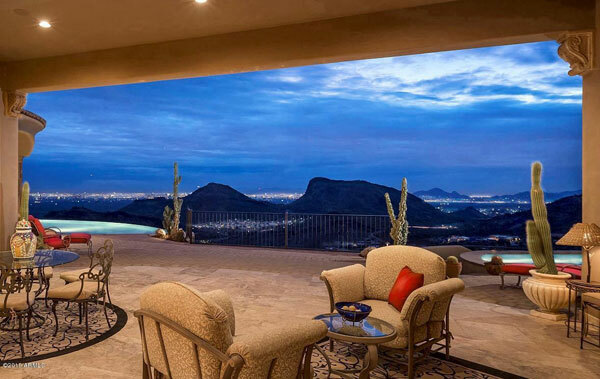 2nd casita is on the 3rd level with its own entry and 2 spectacular viewing decks. 4 oversized car garage with possibilities to extend if needed. 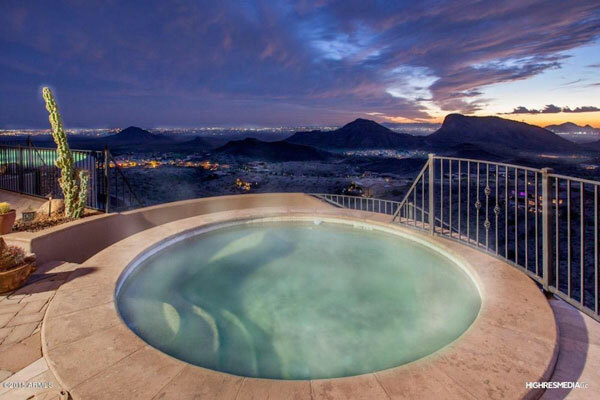 Infinity heated pool & spa overlooking the views! 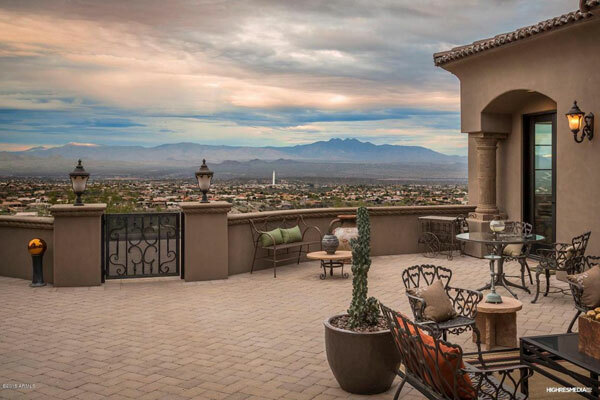 Located in gated Crestview at Fountain Hills a fantastic central location close to everything. BOOK A SHOWING TODAY TO EXPERIENCE ALL THIS BEAUTY!